Mechatronics is a multidisciplinary field of science that includes a combination of mechanical engineering, electronics and Control Systems and despite being around for more than 50 Years, today we are seeing a real time need to connect Industry. To ensure that we continue to move with current industry trends CDL has brought together a few of their strongest Manufacturers at the Manufacturing Technology Centre in Coventry where they were able to showcase new products and integrated solutions that combined, strenghtens their systems with Industry 4.0 and The Internet of Things placing them firmly at the front of their mind. 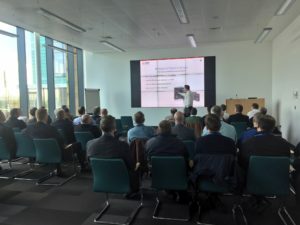 The Mechatronics workshop was centered around the Mitsubishi Automation Platform, and supported by key manufacturers such as SMC, SICK and SMAC. Each manufacturer presented live presentations of their showcased lineup and performed in-house product demonstrations along with Q&A session at the end of each section. Mitsubishi: IQF & IQR Simple Motion and Robot,A800 GOT Integration, Smart Condition.Monitoring & Guided Operator Solutions. SMC: Electric Actuators & Grippers. 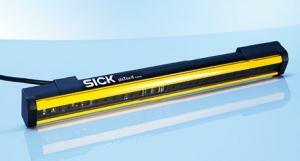 SICK: Inspection/Vision cameras and Scanners. In addition to the live presentations an open exhibition area was available, where attendees could discuss individual systems and products in greater depth with numerous application specialists. CDL are planning to run more similar events throughout 2017 so keep checking our social media feeds, website and Blog for further details regarding future events. 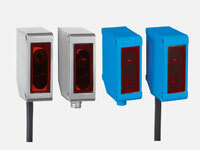 Simple, precise, and economic solutions for measuring tasks; the OD Mini short range distance sensors (displacement) are impressive with their compact and rugged housing, which is available in a lightweight aluminum or a rugged stainless steel. These sensors are equipped with the latest CMOS receiver technology for precise measurement, regardless of the brightness and color of the surface material. The integrated amplifier unit enables the OD Mini to work on a stand-alone basis. Cabling to an external amplifier unit is no longer an issue. The OD Mini is simple to configure due to its intuitive design and display with four status LEDs. The OD Mini can also be remotely programmed via the external teaching input. The large number of available interfaces also simplifies integration into industrial networks. This ensures the highest possible reliability and precision when solving a wide range of measurement tasks. Contact us for pricing and any further information. Sick have designed a new range of Light Curtains – the deTec4. Offering efficient integration, from planning & selection through to installation. The deTec4 Safety Light Curtains are produced to Type 4 (IEC 61496), PL e (EN ISO 13849) and have a resolution of 14mm or 30mm with a protective field height of 300mm to 2,100mm. They also have an automation range measurement of up to 10m, an ambient operating temperature of -30°c to +55°c and an enclosure rating of IP65/IP67. The deTec4 Safety Light Curtains benefit the user as they are easy to assemble, having innovative mounting and no blind zones. Thanks to an integrated LED display and the automatic range measurement, they are quick to commission. They come with a M12, 5 pin connector as standard to reduce costs and are quick to replace when servicing is required due to their basic function that does not require a lot of effort to configure. The deTec4 Safety Light Curtains are ideal for use in Automotive, handling & warehousing systems, machine tools and the packaging industry.